Do you dream about completing the famed Haute Route of the Alps? 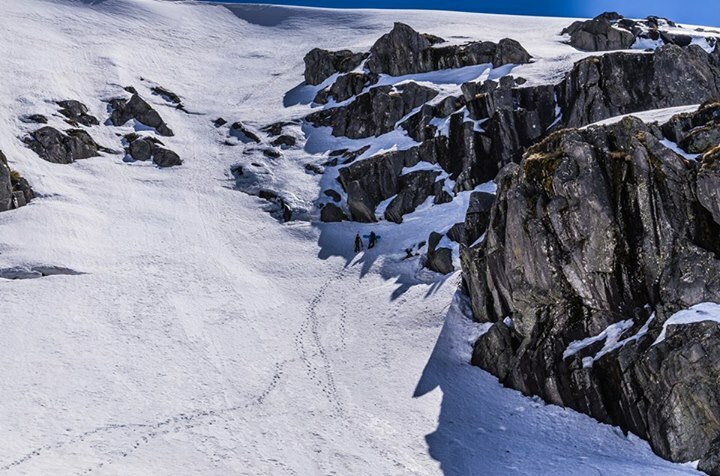 Or skiing on Beautiful Fox and Franz Josef Glaciers in NZ? But you know it’s glaciated, and you’ll need a rope and a guide. Maybe you want to spend your spring riding Australia’s steepest terrain out at Watson’s Crags, but first you’d like to build a tool set to get you out of trouble if conditions don’t match up to what you desire. When the terrain becomes steeper than 30 degrees, too narrow, rocky, exposed or glaciated, you leave ski touring behind and enter the amazing world of Ski/Splitboard mountaineering. 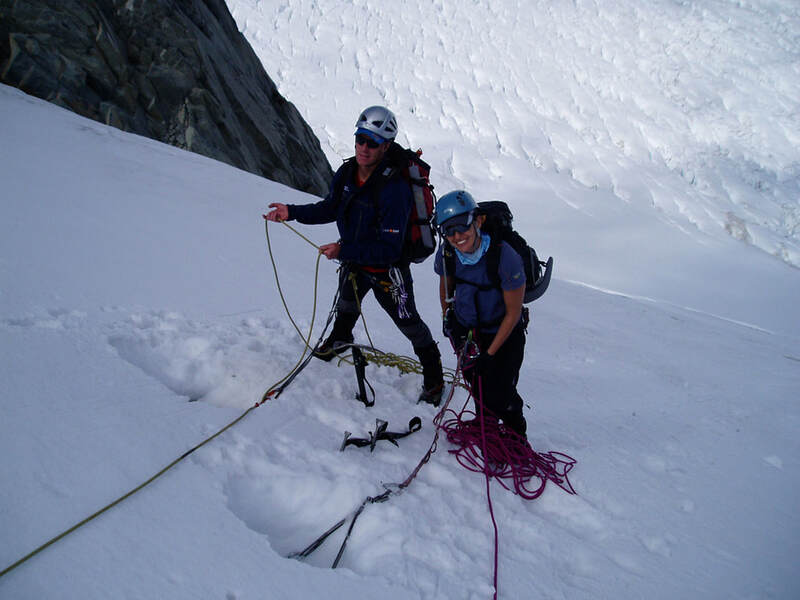 This course is designed to teach you basic rope handling and movement on snow and ice with crampons and ice axes. These can be valuable tools for ski touring, but without any training they can provide a false sense of security or even add dangers. If you have a small group, the day can be customised to your needs, whether you want to access and ski big lines, with a larger margin of safety or are looking at getting into mountaineering from hiking or climbing. 1. Skiers/Snowboarders who want to add a simple but valuable tool set to their tours, increasing their safety on harder lines and difficult approaches. 2. Climbers wishing to get an introduction to moving around on snow, perhaps before an alpine rock climbing trip. 3. Skiers who wish to ski overseas, on glaciated terrain and would like an introduction before a more comprehensive glacier travel course. 4. Hikers/climbers/skiers who are going to attend a Glacier Mountaineering Course or similar overseas, and want to learn some pre skills to get more out of that trip. Our instructors will fit you out with all the necessary equipment; ensure that you are properly clothed and ready for your course. 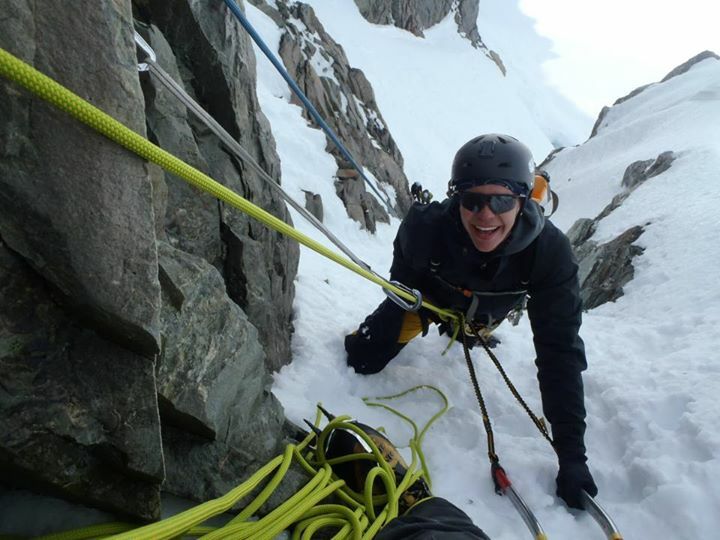 The use of specialist alpine climbing equipment such as ice tools, crampons, ice-screws and snow-stakes. Tips and techniques for quickly and safely dealing with transition terrain. How to make your changeovers from ascent to descent faster to save time on long tours. How to set up secure belay anchors on snow and ice using a minimum of equipment, including ski/board anchors. Efficient rope handling and belaying skills for mountaineering and ski mountaineering. 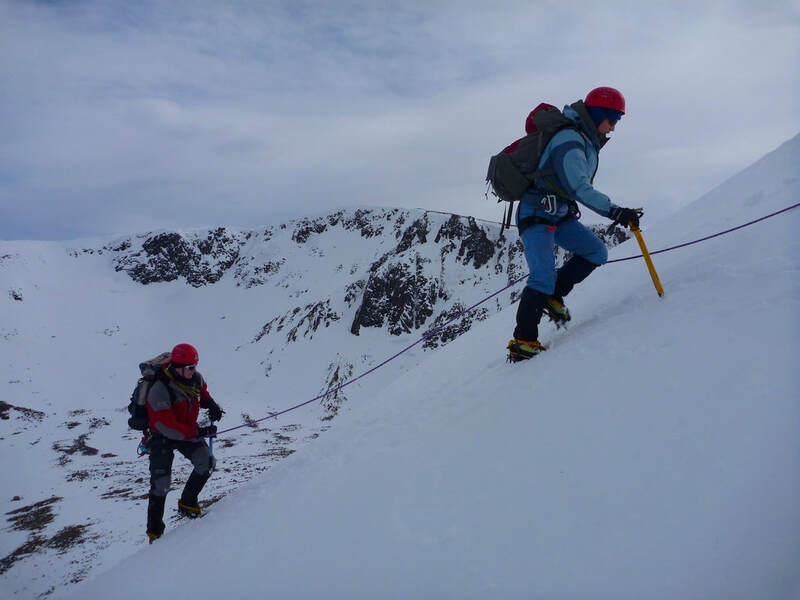 Abseiling on snow and if time allows ski belaying. Climbing techniques for snow and ice. Route selection and hazards of couloirs, ridges and similarly complex terrain. Moderate fitness and some basic rock climbing experience is also useful but is not compulsory. Group size 4-6 people per class.